Welcome to Doot Doot Desert, a 5cp map set in Egypt. 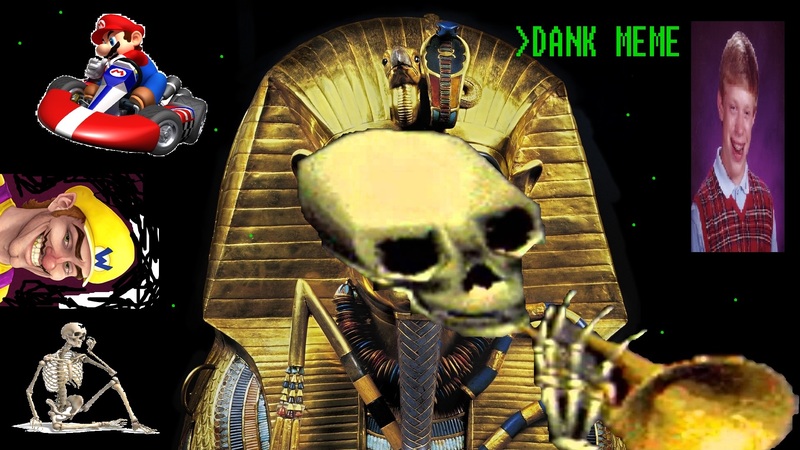 Why Doot Doot Desert? Well, deserts are dry, as are skeletons, and they live in deserts anyways. And I needed a fitting name. I really hate most 5CP maps because I feel like the gameplay is too dull. Not enough height, the standard badlands-esque ending area. So I decided to make my own. The best would to describe it would be Granary meets cp_egypt's height variation. There's a massive central spire on 2nd, the mid point is raised up with accessable rooftops all around, and 3rd is... I don't know, some sorta ruins. Beats me. I've got a good feeling about this map, which probably means its terrible. But i'll go for it. Well, if it's hot and dry, the corpse would most likely have not decomposed fully, therefore they are not a skeleton. I sorta fucked up, and I didn't move over a crate that should've been on both teams. The name makes it sound like a Mario Kart course with memes. FRONT PAGE of the Workshop. 7/5 work. Doot, doot doot doot doot doot, doot. Doot.